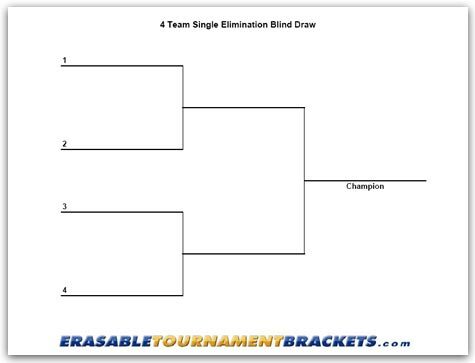 4 Team Single Blind Draw Tournament Bracket - ErasableTournamentBrackets.com! Erasable Tournament Brackets in 3 Styles for Purchase! 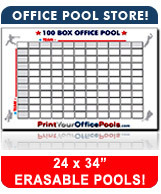 Our Erasable Tournament Brackets are perfect for your tournaments! These laminated tournament brackets are extremely durable and can be used many times over! We'll even include a FREE MARKER with your order! 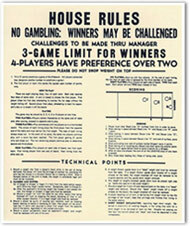 Tournament Bracket charts are 22 x 34 inches. Print Your FREE Single Use Tournament Bracket! CLICK HERE for your FREE downloadable PDF Tournament Bracket Chart! These files require Adobe Acrobat PDF Reader to view. Download the free pdf reader. Last Update: November 5, 2018 No portion of this site may be copied, distributed or used for commercial purposes without written permission. Product photos and/or names may be trademarks or copyrights of their respective owners and/or manufacturers. 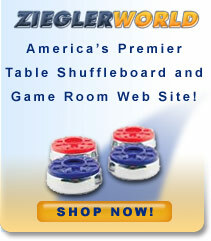 Prices assume U.S. deliveries. For shipping costs to other locations, please contact us.